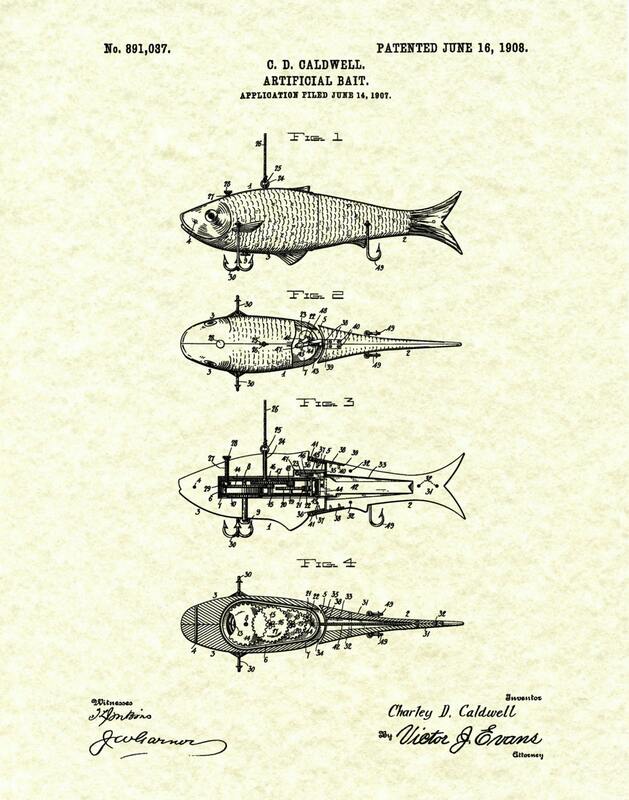 1908 Artificial Fish Bait - Fish Lure - Mechanical Fish Lure designed by Charles Caldwell. 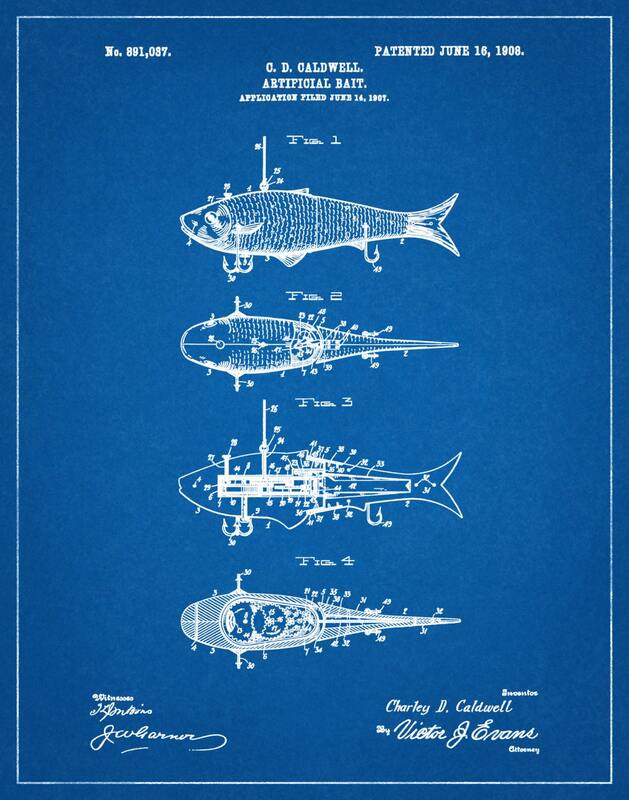 The United States Patent and Trademark office issued the patent on June 16, 1908. 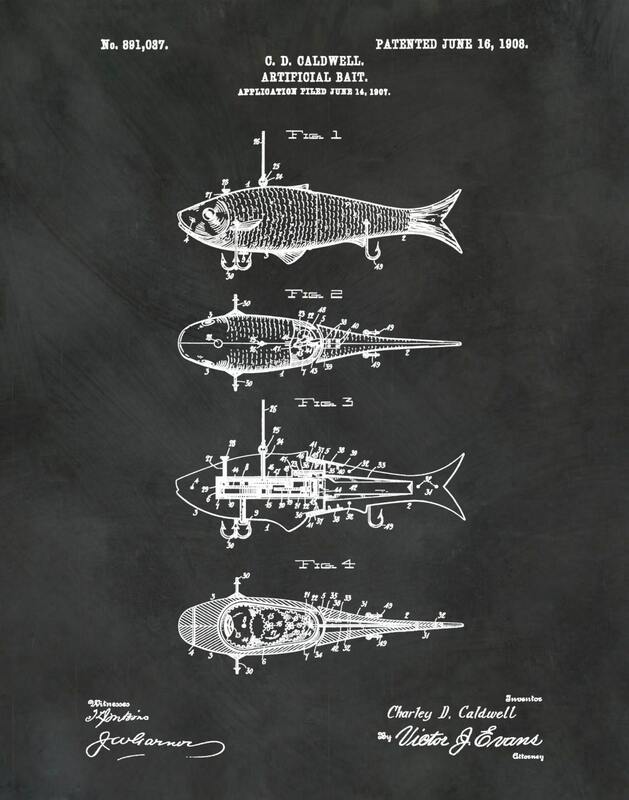 This patent features a mechanical gear and spring motor to make the fish-like lure to move like a minnow or bait fish. Exactly as it was pictured! Very good quality. 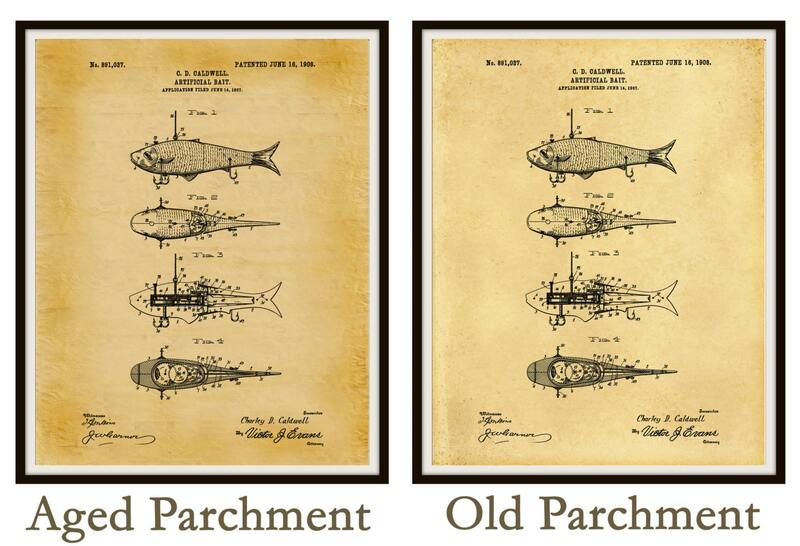 I purchased 3 prints for my husband as a gift and I can't wait to give them to him. Linda was wonderful to work with! 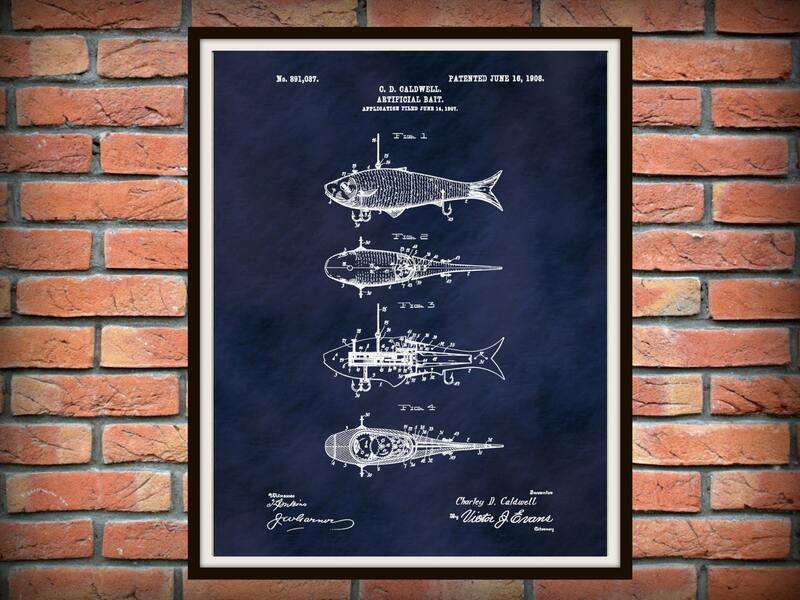 I received my order quickly and she was very helpful with questions that I had, before I placed my order.